Isn't she a bit old for you, Harry? Harry Styles rumoured to be dating 35-year-old Alison Mosshart? Harry Styles reportedly had a secret romance with The Kills frontwoman Alison Mosshart and was seen getting cosy with the singer at The Box nightclub in London. 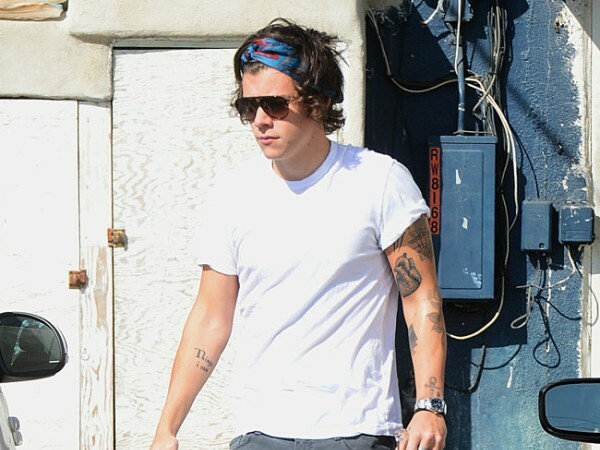 Harry Styles reportedly had a secret romance with Alison Mosshart. The One Direction hunk (20) who has split from model Kendall Jenner, was seen getting cosy with The Kills frontwoman (35) at The Box nightclub in London's Soho during London Fashion Week. "It was Harry who made the move as he was looking after her." The source added: "At one point he was stroking her hair as she lay her head on the table. Harry's knack with women of any age is pretty amazing." It's not the first time the singer has dated an older woman after he previously hooked up with TV presenter Caroline Flack after meeting her on The Xtra Factor when he was just 18 and she was 32. He was also linked to radio presenter Lucy Horobin (32) when he was 17 and more recently he dated reality star Kendall (18) for three months before they broke up in February due to work commitments. After being spotted at The Box, Harry and Alison went on a second date to watch the Burberry show together for London Fashion Week. They had previously hung out after meeting through Alison's band mate Jamie Hince and his wife Kate Moss. Meanwhile, Harry has been on a break with band mates - Liam Payne, Zayn Malik, Louis Tomlinson and Niall Horan - as the group prepare for their Where We Are stadium tour which kicks off next month.